Kevin is an energetic and passionate leader with a proven record of managing growth, driving successful turnarounds and delivering substantial improvements in companies already considered to be market leaders. Recognized as one of the most capable managers of his generation he is able to define and implement positive change within organizations large and small. A natural communicator with the ability to build and motivate a management team and to enthuse staff at all levels within an organisation. He qualified as an engineer and accountant and completed his MBA before starting his career in the construction sector from where he moved into the chemical industry and then the automotive sector. In 1987 he joined Porsche GB Limited and four years later, at the age of 32, was appointed UK Managing Director. Inheriting a business which was close to bankruptcy he built a world class team to focus the business back to its engineering heritage. In the space of five years Porsche was changed from a struggling business into the UK’s most profitable car company. For this Kevin was recognised as ‘One of the top 40 managers under 40 in the UK’. In 1996 he accepted the role of Managing Director of BMW (GB) Ltd where he formed a team who challenged themselves to challenge the business. This led to four years of record growth during which sales improved by 40% and profitability increased by 250%. In 2000, to the surprise of the automotive sector, he left BMW to seek a new challenge as European Chief Executive of CarsDirect.com, an American pioneer in the online sale of cars. Finding their model would not translate to Europe the shareholders quickly retrenched to the USA. The European team used the opportunity to create epyx Limited; a business which, in only eight years, became the UK’s leading provider of e-commerce solutions to the automotive fleet sector. Kevin was a founder board member of this team from 2001 until 2009 when he sold his interest to the management team and HgCapital. Achilles Limited, which he chaired from 2008 – 2014, was recognized as the UK’s best private equity investment of 2012. 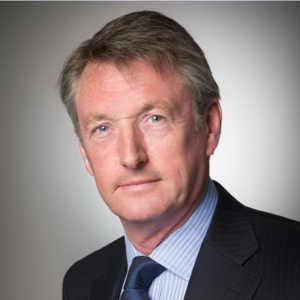 In parallel to epyx Kevin was appointed as Group Chief Executive of EurotaxGlass’s AG. Between 2001 and 2007 he led an international team who converted 31 national print based companies into the global leader in the provision of online data, systems and software to the automotive sector. In 2007 he led a €480 million MBO before stepping into the role of non executive President. He left the company in 2010. Kevin’s appetite for adventure is equally evident outside business. He celebrated his 40th birthday by climbing on Mount Everest and in 2006 walked unsupported to the North Pole to raise money for Cancer Research. Three years later he then walked, this time with his 18 year old son, to the South Pole to raise more funds for charity. His next adventure, climbing the Seven Summits, is almost complete. 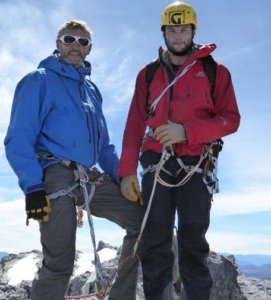 Most recently, with his son, he climbed Carstensz Pyramid in Asia. In December 2017 he will cross the American continent by foot, cycle and canoe. He is currently planning, again with his son, to enter the 2019 race to row across the Atlantic Ocean from Spain to Antigua. In less demanding moments he has played international cricket but now relaxes by playing in a rock band. He has published his new book ‘Inspired Leadership – how you can achieve extraordinary results in business’. This book demonstrates how to become an Inspired Leader – workable strategies, practical frameworks, and real world essential skills give a curriculum for success. Anecdotes and examples illustrate important concepts in action. Inspirational, aspirational, and deeply instructional, this guide is quickly becoming the go to resource for navigating the leader′s role.